True analogue delay sound; long delay times. Nothing really, but some might have liked modulation on the repeats. 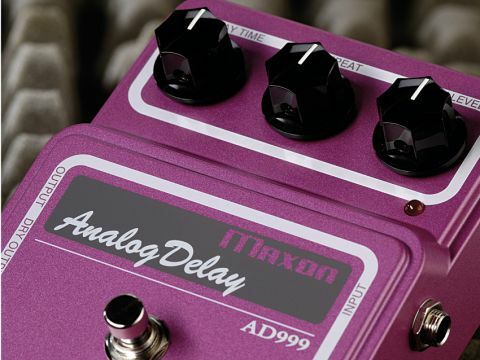 Building on the legacy of the respected AD-900 delay pedal, the AD-999 Analogue Delay offers a massive 900ms of true analogue delay delivered via eight BBD chips. Like all of the vintage series, it has a 4PDT mechanical switch for noise-free bypass operation and runs on 9V DC for easy integration into standard pedalboards. The AD-999 offers a versatile range with plenty of variation, from metallic reverbs and rockabilly slapbacks up to much longer delays than most comparably priced analogue competitors are capable of. All with repeats that melt into your sound as they decay. Gorgeous.